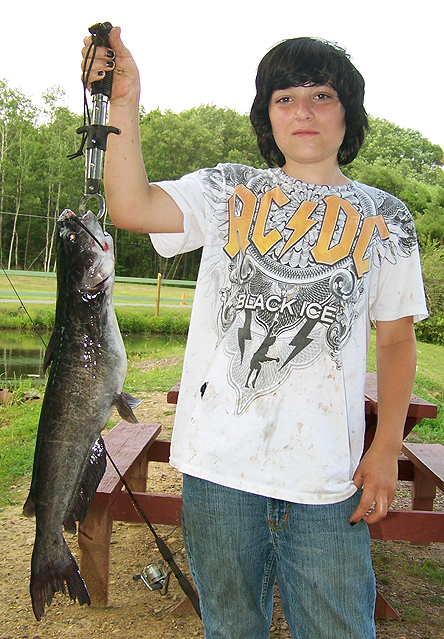 Below some Catfish pics from CT and MA. 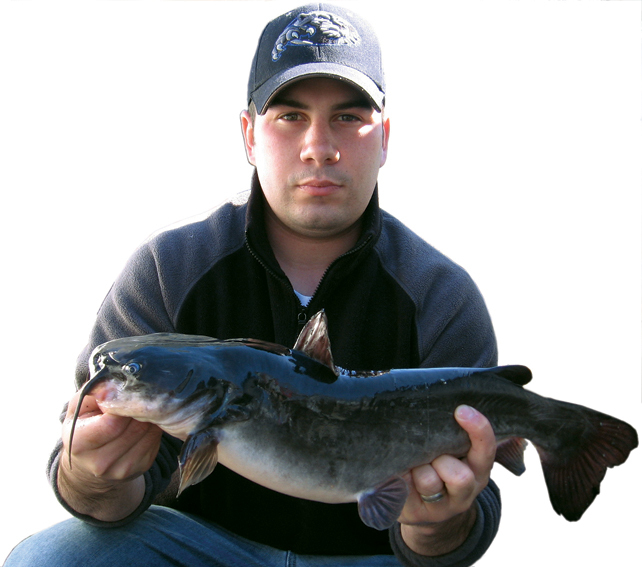 New England has a whole variety of catfish opportunities to offer. 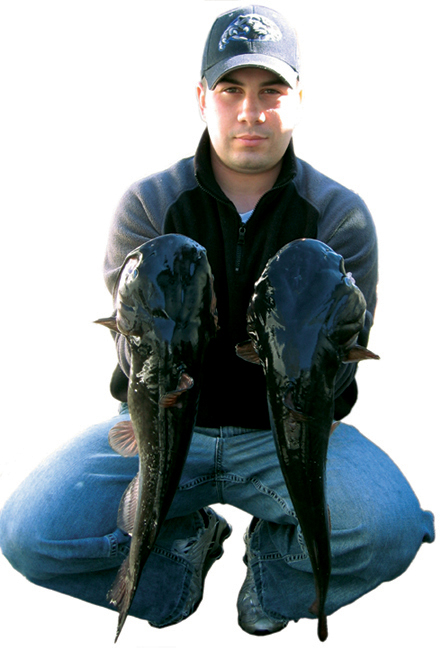 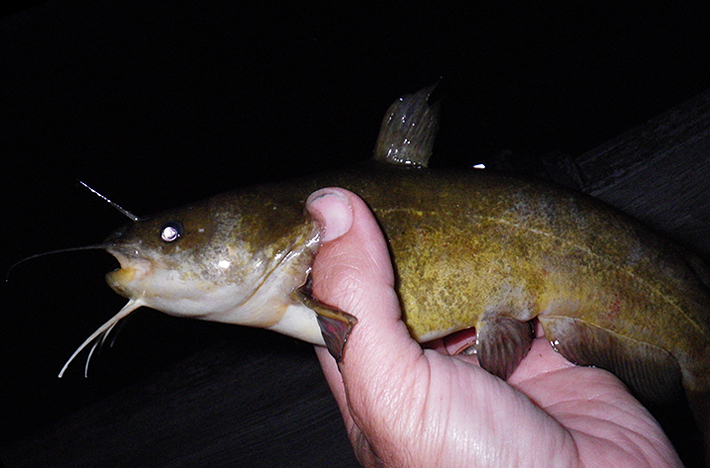 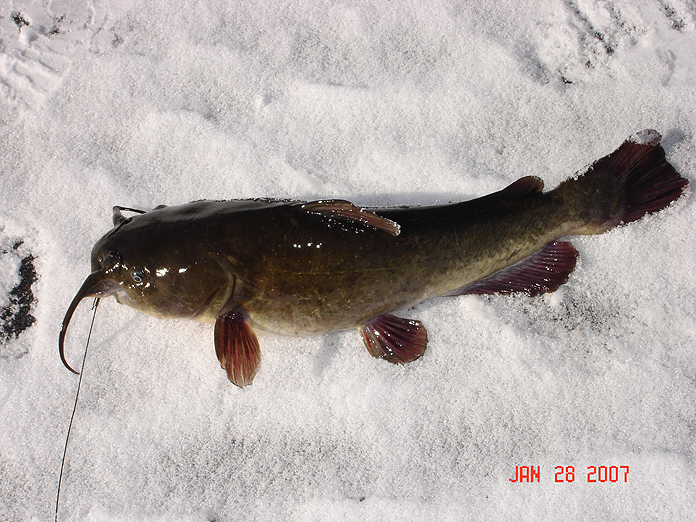 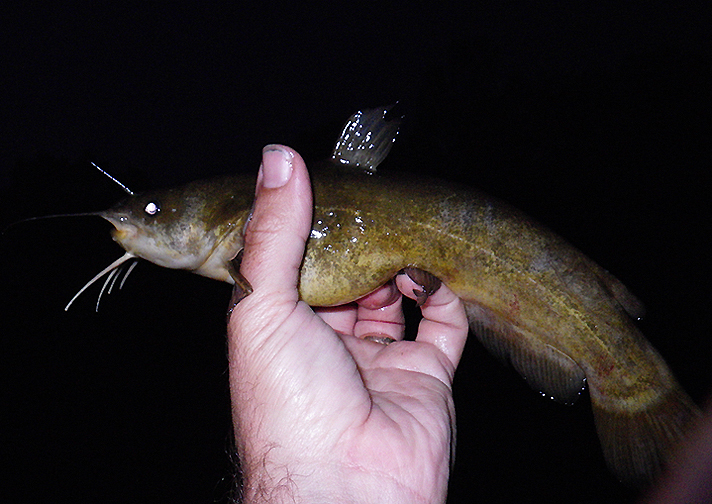 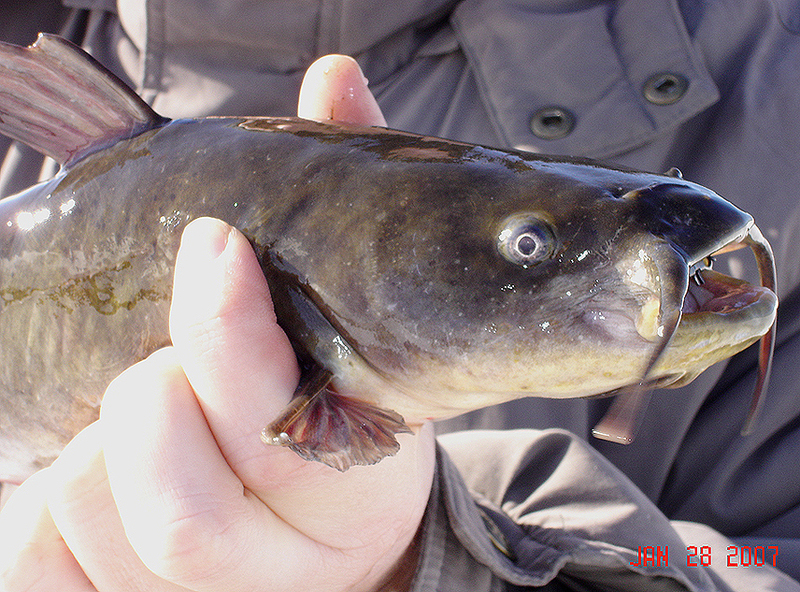 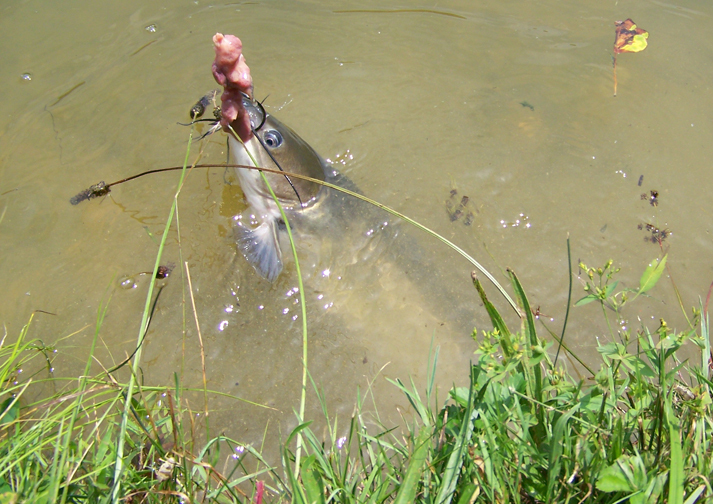 See the examples below of channel, bullhead and white catfish. 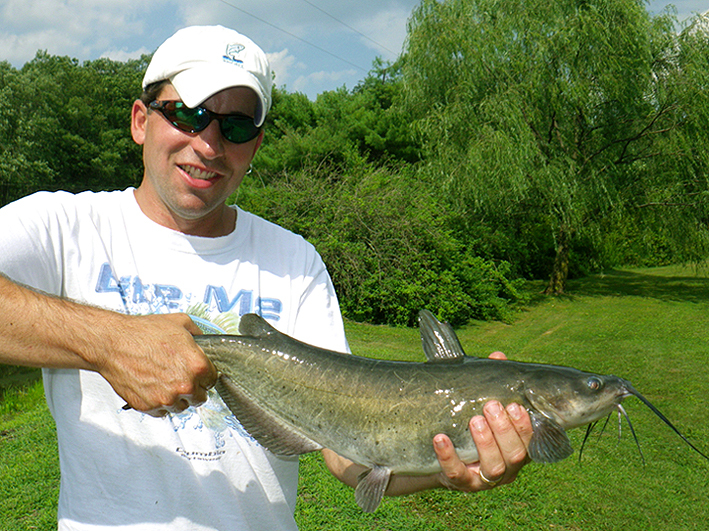 I haven't really fished much for cats, pretty much not since I was a kid. 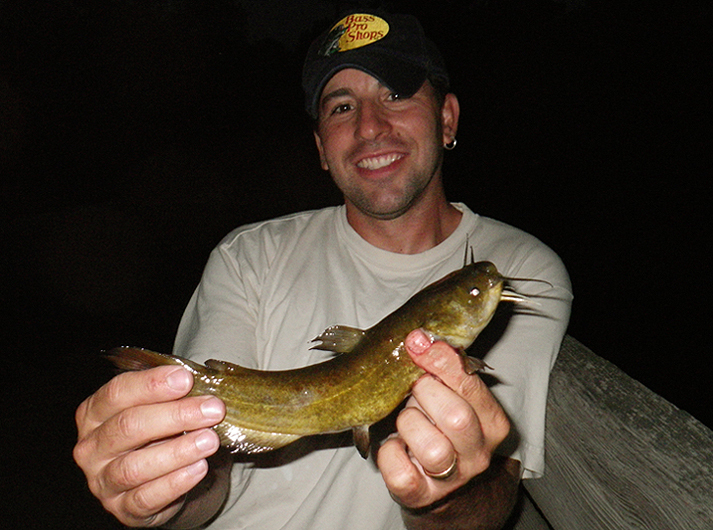 However at some point I would like to target some large specimens (channels and whites). 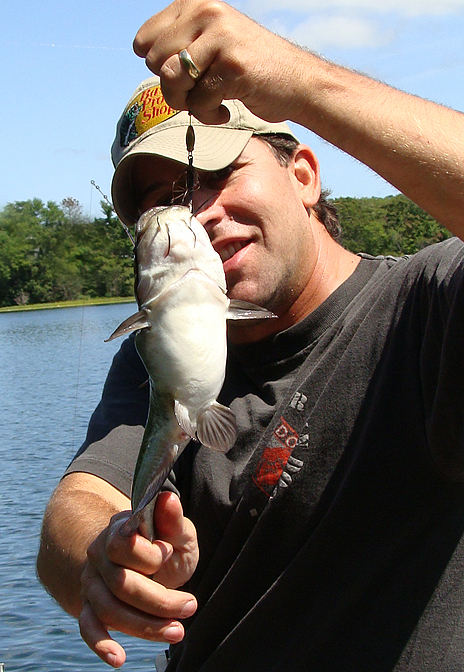 Most Massachusetts bodies of water contain bullhead, while select others contain the larger white cats. 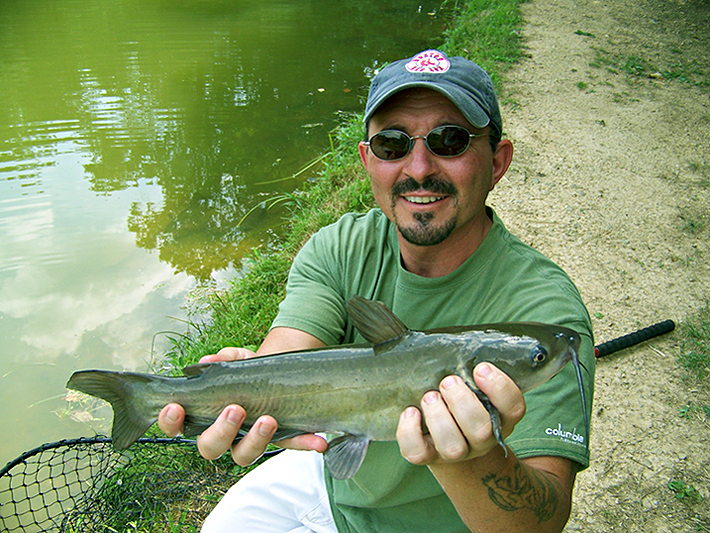 But the bigger of them all that will put an extra bend in your rod is the channel cat. 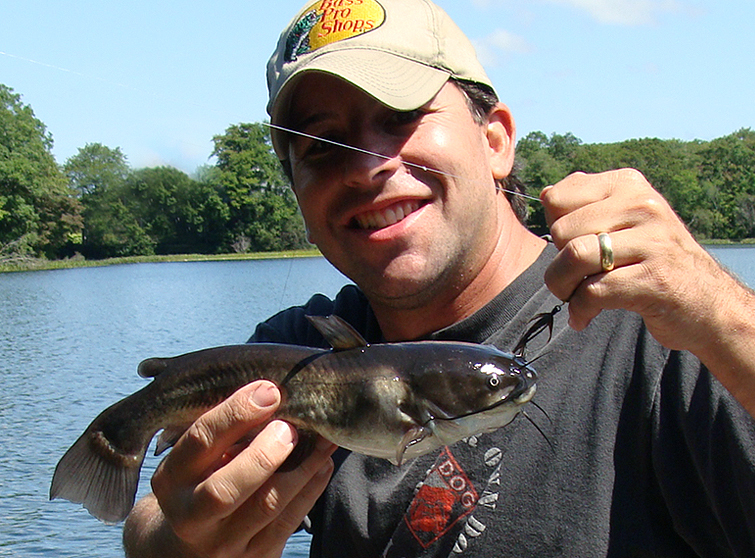 The CT river has them and so don't some bodies of water in CT.
RAY POSING WITH HIS HARDWATER BULLHEAD. 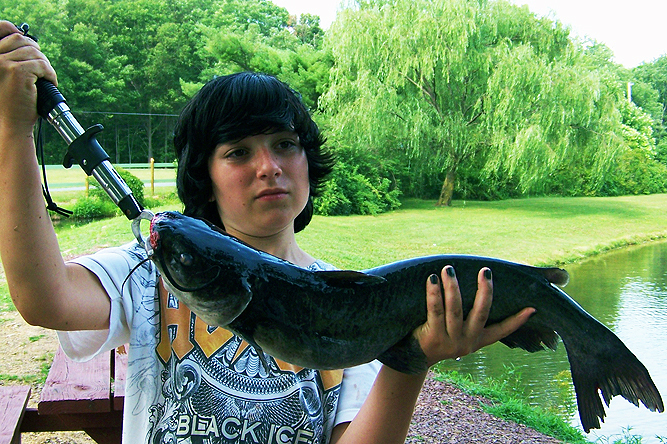 JOE WITH A PAIR OF GIANT WHITE CATS. 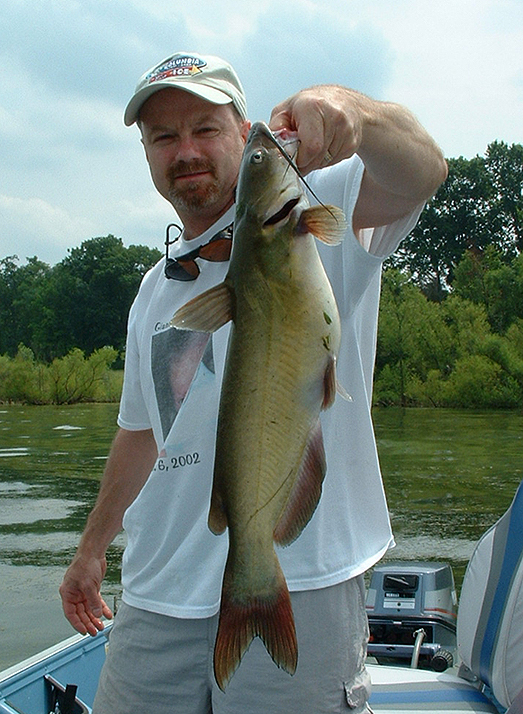 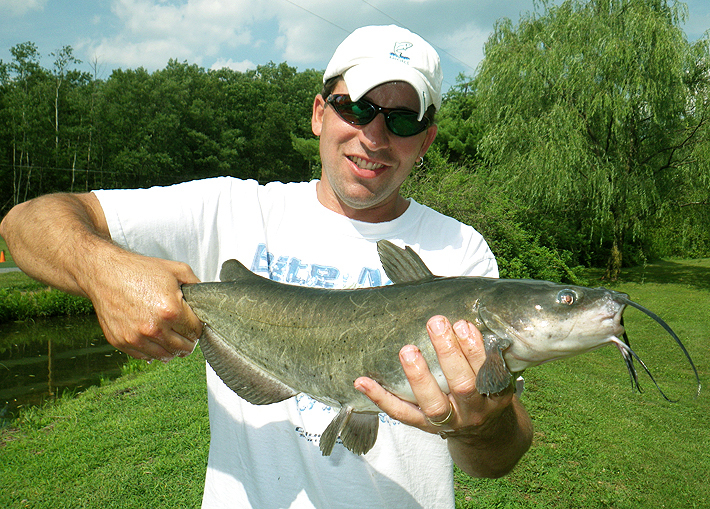 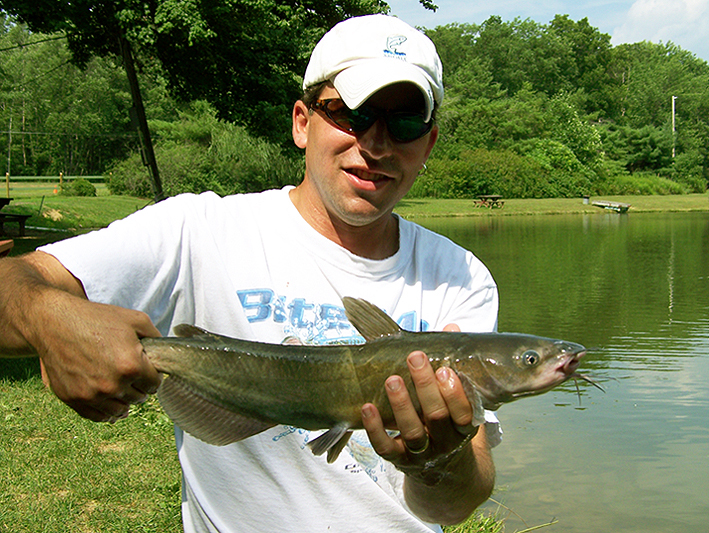 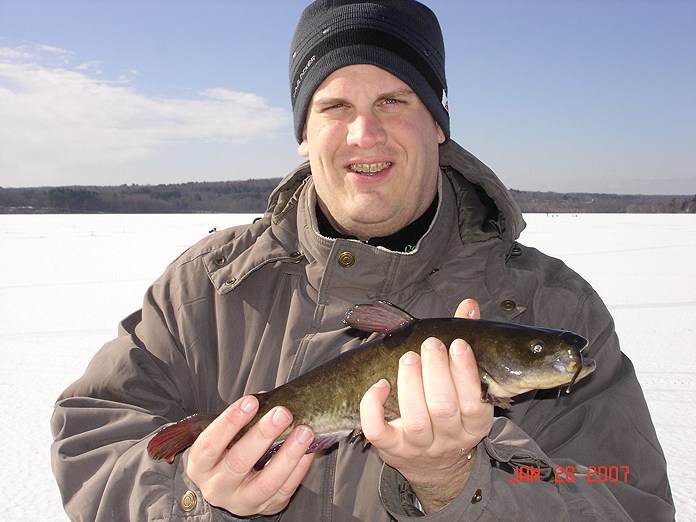 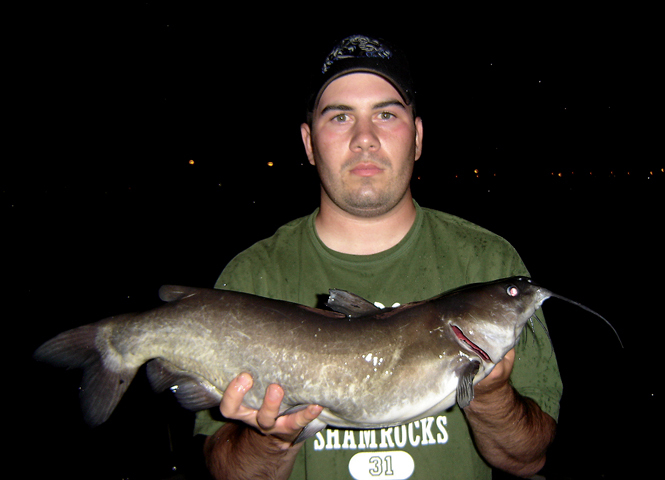 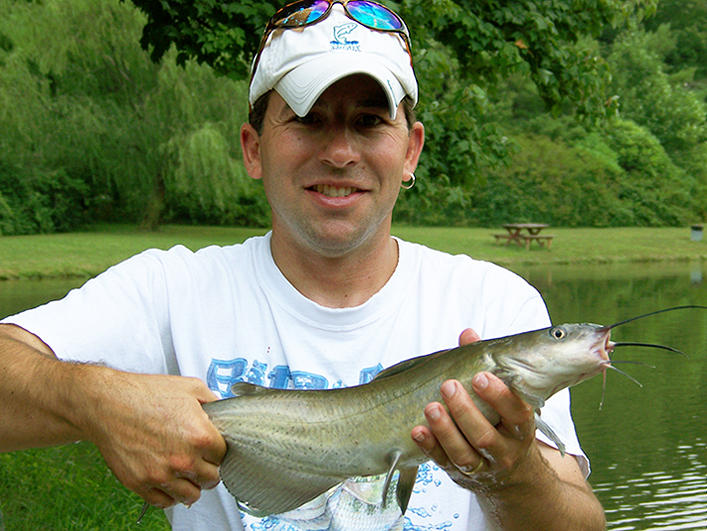 CONTRIBUTOR JOE WITH A NICE CHANNEL CAT. 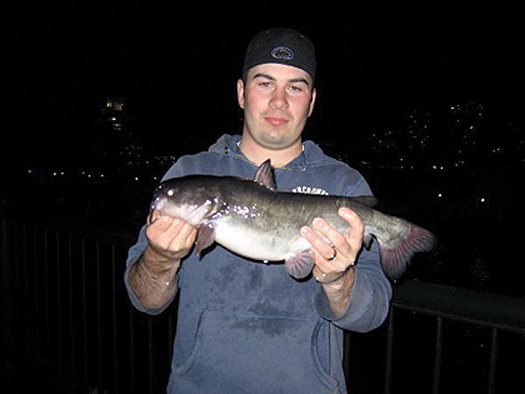 ABOVE A URBAN BOSTON WHITE CAT.